The links between climate change and conflict receive increasing scholarly attention. But which places are analysed most frequently by researchers working on the issue? First, yes indeed, there is a streetlight effect in climate-conflict research. Countries in which English is an official language ― which makes field research and data compilation much easier for many Western scholars ― are more frequently discussed in the literature. By contrast, studies tend not to focus on those countries highly exposed or vulnerable to climate change. Of the twenty countries most at risk from climate change in 2015, not a single one was among the top ten countries covered by the climate-conflict literature. Among those were several quite populous (e.g., Bangladesh, the Philippines, Vietnam) and politically unstable (e.g., Pakistan, Yemen) countries. Research on these countries would be highly relevant, but it is apparently hindered by a language barrier, among other factors. Second, countries with high levels of violence (indicated by many battle-related deaths) are generally studied most frequently in the climate-conflict literature. This might not seem all too surprising at the first glance: If you are interested in conflict, you go where the violence is. However, there are at least two problems with this sampling strategy. 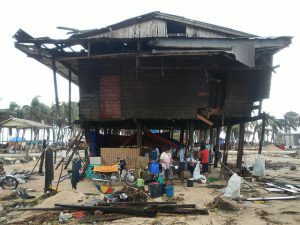 For one, if you only focus on violent cases, how can you learn anything about environmental conflict resolution and peaceful adaptation to climate change? Further, the most studied world regions by far are Sub-Saharan Africa, the Middle East and the Sahel Zone (which overlaps with Sub-Saharan Africa, but is frequently considered a separate region in the literature). All three regions experience extreme climatic events such as droughts or heat waves from time to time. If studies focus only on violent places in these regions, they might be more likely to find an association between climate change and conflict. This is the case because they include a number of positive cases (places with climate extremes and conflicts) in their sample, while negative cases (places with climate extremes but no conflicts) are largely absent. Finally, why is climate-conflict research so strongly focussed on Africa? To be fair, the continent is quite vulnerable to climate change, and it also hosts a large number of violent conflicts (which could already be a problem when sampling cases). But Africa is mentioned in 77 articles in our sample of the climate-conflict literature, compared s to six hits for South America (where a melt-up of the Andean glaciers and a drying of the Amazon Rainforest are real possibilities) and only one hit for Oceania (where several islands are literally sinking due to a rising sea level). So why is Africa so much in the focus? 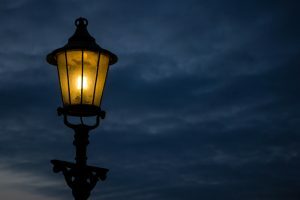 It is likely that the streetlight effect plays a role again: There are several good conflict and climate datasets for this continent. And there are several well-researched, English-speaking, sufficiently accessible (for field researchers) countries in Africa for which data availability is very good (Kenya being a prime example). However, attention might not only be a blessing (as a lot of scientific knowledge is produced on these places), but could also turn out to be a curse: Discussing Africa and the Middle East (and some other regions and countries) predominantly as the locations of climate conflicts could convey the impression that these places are “naturally” violent, chaotic and unable to cope with climatic stress. This, in turn, might scare away investors, provide legitimation for patronising Western interventions, and facilitate measures against potential “climate refugees” from these countries. More on the topic: read the full paper. 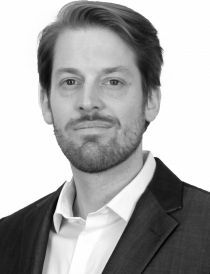 Tobias Ide is coordinator of the research field Peace and Conflict at the Georg Eckert Institute and also a lecturer at the TU Braunschweig. Recently, he was a visiting researcher at the University of Melbourne. His work on climate change, environmental stress and conflict has been published in Nature Climate Change, Journal of Peace Research, Global Environmental Change and Political Geography, among others. Adrien Detges is a researcher and consultant at the Berlin-based think tank adelphi. He specialises in climate-conflict research and focusses on the intersection of global environmental change with foreign, security, and development policy. His work has been published, among others, in Nature Climate Change, Political Geography and the Journal of Peace Research. ← Land Grabs as ‘Shrinking Spaces’ for Civil Society?